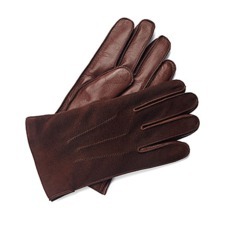 An essential addition to every winter wardrobe, our Men's Cashmere Lined Leather Gloves underscore cold weather dressing with a sense of luxurious sophistication. Available in a selection of classic hues, each pair is crafted from exceptionally soft leather and accented by hand stitched detailing. Pure, 100% cashmere lining offers optimum warmth and the elegant styling communicates a dedication to good taste. Discover suede contrasts and knitted cuffs for an extra level of deluxe detail. 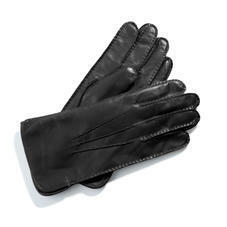 Our Aspinal Men's Cashmere Lined Leather Gloves use only the finest soft buttery Nappa glove leather accented with a hand stitched feature to create the ultimate chic men's gloves. Lined in 100% pure Cashmere for extra warmth and comfort. 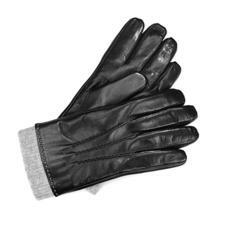 All of our mens leather gloves arrive beautifully gift wrapped in an Aspinal exquisite signature presentation sleeve.